September is Brain Aneurysm Awareness Month and to help provide insight as well as spread awareness of this condition, The Joe Niekro Foundation™ is sharing daily facts about the brain and brain aneurysms, helpful tips for brain aneurysm survivors, as well as other important information through their social media channels which include Facebook, Twitter, Instagram, Pinterest and Google Plus. The foundation is also offering a 25% discount on all of their JNF Jewels awareness bracelets and necklaces through the end of the month as well as co-hosting their first annual A Cerebral Affair gala in New York City on September 29th. 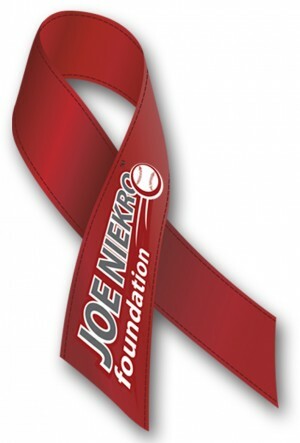 In addition to their efforts in September, The Joe Niekro Foundation™ will be hosting their annual Knuckleball Gala in Houston, TX on October 20th and their annual Phoenix Knuckleball Gala on November 12th. Funds raised at the events will go towards brain aneurysm, AVM and hemorrhagic stroke research and awareness supporting The Joe Niekro Foundation’s Patient Advocacy Program as well as the local medical communities.